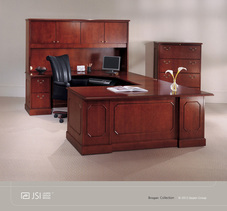 HON offers a complete line of wood and laminate case goods, panel and non-panel based systems, filing/storage and seating. One of their lines, Abound, is known for greater flexibility, higher quality and smarter technology. Abound offers all that and more to deliver high-performance work spaces. Every component is designed with the other in mind. Even the electrical and data cabling was designed to offer greater capacity, faster installation and easier reconfiguration. By setting a higher standard today, Abound makes it easy to be ready for tomorrow. 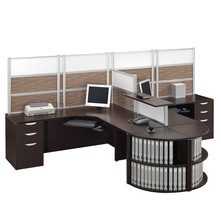 AIS offers a comprehensive line of laminate case goods, panel or non-panel based systems and seating. One of AIS’s premier lines is Oxygen. Oxygen benching brings both form and function to the workplace in a package that is as high-tech and multifunctional as it is stylish. From open, collaborative spaces to focused environments, Oxygen is designed to meet the demands of any workplace. Engineered for the way you work today, and designed to adapt with you in the future, Oxygen meets the needs of a diverse and ever-changing work environment. 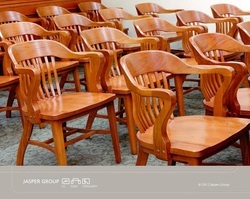 The Jasper Group Brand, otherwise known as JSI offers a complete line of wood and laminate case goods and seating. One of those lines is Brogan Casegoods. 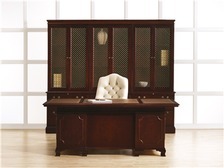 They feature decorative picture frame molding and a strong selection of functional items including non-handed components for modularity that work in today’s office, reception and meeting environments. 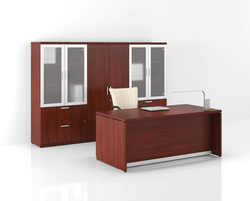 Rocky Mountain offers a complete line of veneer and laminate casegoods, panel and non-panel systems, filing/storage and seating. One of Rocky Mountain’s lines is called Borders. Rocky Mountain recognizes that effective time management often requires a delicate balance between privacy and interaction with colleagues. Our Borders Desktop mounted panel system can be retrofitted to most Performance laminate workstations in a manner that allows you to define your workspace the way you want. Whether you choose 24″ high or 36″ high panels for complete privacy, 12″ high panels for moderate privacy or transaction tops for reception areas – Borders has a solution that will work. 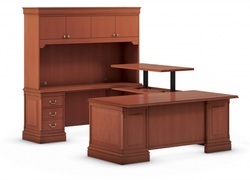 Jofco offers a complete line of wood casegoods and seating. The Wellington is Jofco’s premier traditional offering. The workmanship is unsurpassed. The materials are impeccable. The look is refined and distinctive. Group Lacasse offers a complete line of designer casegoods and seating. One of those lines is the Morpheo. It’s easy to get wrapped up in Morpheo with its attractive styling, wraparound functionality and signature floating top look. But there is substance along with its modern and practical style. Freestanding or juxtaposed, Morpheo makes the most of compact space or expands like a system. Its shape-shifting personality fits any office environment. Since 1950, sedentary occupations have increased by 83%. On average we sit between 7-15 hours a day. Too much sitting is doing us in. Finally Ergo* by Inwood gives you the ability to stand or sit as you work at your desk. Finally a way to “fight the sitting disease” from real furniture, completely hiding this ability. The Boston Chair by Community offers subtle curves which enhance the beauty of this wood chair. Offered in two arm heights or armless, all wood or upholstered seats, an optional jury base and trim nails. Coordinating swivels, chairs and benches. Made from Oak and Maple in 27 different finishes.